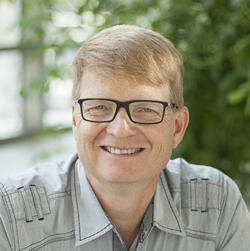 Carey Nieuwhof is the founding pastor of Connexus Church, a growing multi-campus church north of Toronto and strategic partner of North Point Community Church. Prior to starting Connexus, Carey served for 12 years in a mainline church, transitioning three small congregations into a single, rapidly growing church. Carey writes one of today's most widely read Christian leadership blogs at www.careynieuwhof.com. He hosts the top-rated Carey Nieuwhof Leadership Podcast, where he interviews some of today's best leaders and the Canadian Church Leader's Podcast, where he helps Canadian church leaders reach people. He speaks to North American and global leaders about leadership, change and personal growth. His podcasts and blogs are accessed by millions of leaders each year. The culture continues to change rapidly around you as a leader – especially as a church leader. If anything, the pace is accelerating, not slowing. Heading into the new year, Carey published a post on the 7 disruptive church trends that will rule 2018. The question is: are you and your team ready for all that’s ahead? Join Carey Nieuwhof & Todd Wilson in this exclusive webinar on the disruptive church trends that will rule in 2018.